It’s difficult to keep focused on outcomes that are likely to result in the greatest long-term success for your clients. One such example is in the treatment of attention deficit hyperactivity disorder (ADHD) in children. 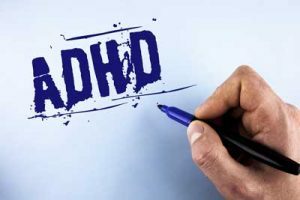 It’s becoming increasingly less common for clinicians to even see children who present with ADHD, because of the emphasis of medication treatment – stimulants – for this concern. According to 2016 U.S. Centers for Disease Control & Prevention data, 62 percent of children receive medication for treatment, while only 47 percent received a behavioral intervention. The number of children who receive behavioral interventions decreases significantly with age – from 60 percent in ages two to five, to 51 percent in ages six to 11, down to a measly 42 percent in ages 12-17. We know, however, that according to the research data, psychosocial treatments offer a lot of benefits over medication alone. Psychosocial treatments – ones that combine behavioral, cognitive behavioral, and skills-training techniques – can help teach invaluable skills to children to help manage ADHD symptoms even if they stop taking medication. Such treatments can result in improvements in academic and organizational skills such as homework completion and planner use, as well as co-occurring emotional and behavioral symptoms. Psychosocial treatments can also help in interpersonal functioning more than strictly medication use. In short, psychosocial treatment for ADHD in children appears to be the gold standard. We do a disservice to parents who dismiss talk of such psychosocial treatments, and who instead turn to the pill bottle because of its ease, inexpensiveness, and efficiency. The benefits of psychosocial treatment will stay with children for the rest of their lives. The benefits of taking a stimulant medication only extend to the relief of ADHD symptoms while taking the medication. Stimulant medications have their place in the treatment of ADHD in children. But we should always emphasize to parents the value and importance of trying a psychosocial intervention first, because it will likely result in a better outcome for their child. If such an argument fails, suggesting psychosocial treatment alongside medication can also benefit a child.